Bankruptcy is one of the more maligned aspects of the law. Unfortunately, some people feel like bankruptcy means they are a financial failure. But the truth is that bankruptcy can be a true lifeline when all other options have been exhausted. People on the brink or already in financial ruin can be given a clean slate and a chance to start over. One specific group of the population for whom mounting debt is a real problem are those undergoing gender reassignment surgery. In some cases in NJ, gender reassignment surgery can be covered by health insurance when deemed medically necessary. However, even if a patient’s plan does cover the surgery, the costs can still be overwhelming. The process can span over a few years, and includes ongoing treatment including hormone therapy. Many gender reassignments require multiple procedures and/or surgeries as well. Many aspects of a person’s transformation are considered “cosmetic” by health insurance companies and are therefore not covered. Some of these include voice alteration, jaw reduction, chin implants, hair removal, lip reduction, pectoral implants, and more. The costs can quickly spiral out of control. Medical bills can easily cripple your finances and declaring bankruptcy may be the only viable solution. What Chapter Is Right for You? It’s important to have a lawyer on your side who can help you navigate the confusing differences in the various bankruptcy filings. Veitengruber Law can guide you through the process of determining which chapter will be right for you and your future financial health. Individuals can file for New Jersey bankruptcy in one of two ways: Chapter 7 or Chapter 13. 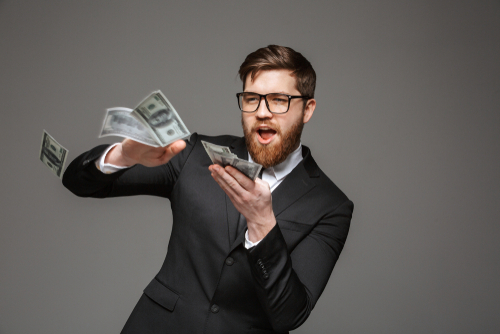 There are important differentiations between these two types of bankruptcy and it’s important to choose the right one for your unique situation. If the medical bills from gender reassignment surgery are your chief debt, you can find relief through debt discharge in both of these filings. Before any individual may file for either Chapter 7 or Chapter 13 bankruptcy, they must receive credit counseling from an approved non-profit counseling agency within 180 days. Veitengruber Law can assist you in this process. We can help you choose an agency that qualifies, that will work with you on the fees if necessary, and that will be the most beneficial for your financial education. The main objectives to the credit counseling are to instruct you on how to remedy your current poor finances and how to achieve and maintain financial health. It is entirely possible after credit counseling to discover that filing for bankruptcy isn’t actually necessary for your situation. You may be able to work out payment plan(s) or pay negotiated sums to pay off your medical debts. In addition to your medical debts, you can naturally include other non-medical debts within the same bankruptcy. Some creditors will be more willing to accept reduced balances if they are aware that you are beginning bankruptcy procedures. To them, a portion of repayment is better than discharged debt, which will mean they end up with no payment at all. If, however, you are unable to come to a solution after attempted negotiations, bankruptcy may in fact be the best course of action. If you don’t own property or many assets, this may be the course for you. In Chapter 7 cases, the debtor’s assets are given to a trustee who sells them off to pay your creditors. Certain personal property is considered exempt, however it is important to know the rules specific to your state. There is a list of federal property exemptions and NJ state exemptions. You can choose which list you are going to use, but you cannot use both. That is why consulting with a local bankruptcy attorney can be the difference in saving thousands of dollars of lost property. If you have no personal property to liquidate, it can still be possible for you to file for Chapter 7 with the help of an experience New Jersey bankruptcy attorney. After your assets are liquidated and creditors paid based on priority, the remainder of your debts will be discharged – with certain exceptions – like student loan debt. Chapter 13 bankruptcy is that it gives the debtor a chance to reorganize. The petitioner must file a plan of repayment to creditors that will usually take place over a period of three to five years. After the repayment period ends, the debtor will receive a discharge of the remaining debts. The key difference between Chapter 7 and Chapter 13 bankruptcy is that in Chapter 13, the debtor remains in possession of their assets. If you own a home or other property, you will want to consider Chapter 13. This is another situation in which a knowledgeable bankruptcy attorney like George Veitengruber is invaluable, because he can guide you to the type of bankruptcy that will be most beneficial for your situation. From the date that you file your claim, any additional debts you incur will not be included in your bankruptcy case. This can be a major consideration in your decision to file if you are trying to clear debts from gender reassignment surgery. Medical bills can be extremely slow to process. Each doctor’s office must bill medical insurance, wait for the claim to process, receive the claim, and then bill the patient. It can be weeks or months from the date of a procedure to when you receive the bill. If you are accumulating debt from multiple procedures, you may want to wait until after you have been billed for all of your procedures and appointments before filing. When you file your bankruptcy claim you will be required to provide a detailed list of all the creditors and amounts due. Any debts that are incurred after the date your petition is filed, will not be discharged and you will be responsible for paying them back. 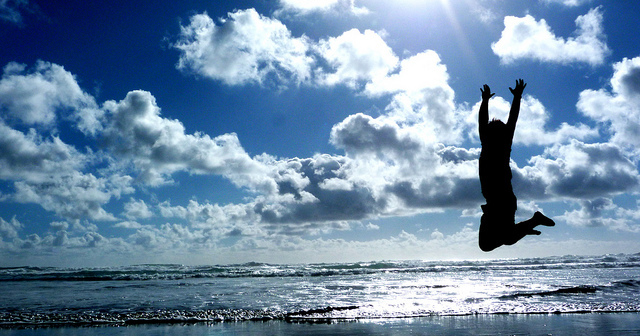 Undergoing a major transformation like gender reassignment is a life-changing experience. If you need to go through bankruptcy proceedings, don’t be intimidated. George Veitengruber is an experienced attorney who can guide you through the process every step of the way: seeking credit counseling, negotiating credit balances, choosing the right chapter, maximizing your property exemptions, minimizing your post-petition debts, and making sure much of your debts are discharged, including medical debt from gender reassignment surgery. Filing for Bankruptcy in NJ = Finding Financial Freedom! If you find yourself facing unmanageable debt from credit card bills, loans, medical expenses or a variety of other potential issues, bankruptcy can provide a path towards a brighter financial future. Filing for bankruptcy in NJ can be an excellent way to take control over your finances and make the process of repaying your debts much more affordable. Unfortunately, despite the many benefits of filing for bankruptcy, many people are hesitant to file when they should. Some debtors feel a sense of failure or shame in filing for bankruptcy and wait years to file, while their financial situation becomes more unmanageable in the process. This delayed filing can be disastrous for your financial future. 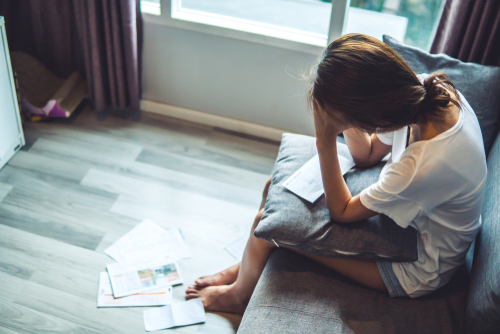 A recent study by the Consumer Bankruptcy Project (CBR) found that nearly two-thirds of those who eventually file for bankruptcy report struggling under the weight of their debt for two or more years before filing. The study found that most people are filing for bankruptcy only after years of significant financial hardship. This period of time is commonly referred to as “the sweatbox.” While in the sweatbox, debtors are constantly bombarded by debt collectors, face the threat of losing their homes, and many even experience wage garnishment. Debtors in the sweatbox can find themselves in lawsuits over unpaid debt and may even be unable to pay for basic needs like food and electricity. Often times, these financial situations could have been avoided by filing for bankruptcy earlier. When we meet with clients in the sweatbox, they almost always wish they had talked to us sooner. Often, those who wait to file for NJ bankruptcy do so with fewer assets and a much higher debt-to-income ratio than those who file earlier. Essentially, the longer you wait to file, the worse your financial situation is likely to be. On top of this, the stress and uncertainty of struggling through years of unmanageable debt will take a very real emotional and mental toll on anyone. And yet, many of our clients who finally file for bankruptcy long after the pros greatly outweigh the cons still express feelings of failure and shame. At Veitengruber Law, our goal is to help people see bankruptcy as an opportunity for positive financial change—not as the end of the line. We work with our clients to dispel some of the prevailing myths about bankruptcy. We know that many of our clients face bankruptcy due to a number of circumstances outside of their control. Loss of employment or underemployment, divorce, medical expenses, and student loan debt are some of the most common obstacles to financial security that our clients face. We understand that no two clients are the same, which is why our debt relief solutions are created to fit your particular needs and goals. Bankruptcy is just one of the many tools we can help clients use to restore financial health. Struggling through years living under the enormous weight of crushing debt is not a measure of personal integrity, nor is it financially advisable. Waiting too long to file for bankruptcy can put your financial security at greater risk. Don’t spend years struggling in the sweatbox. Veitengruber Law’s holistic approach to debt management and bankruptcy strategies will ensure that you receive personalized service for your specific needs. Filing for bankruptcy can be an intimidating process, but you do not have to do it alone, and working with us will not put you further in debt. Don’t wait until it’s too late. When you call us for your free consultation, we will answer any questions you have and help you decide if bankruptcy is the right choice for your circumstances. If bankruptcy is not the right option for you, we will offer you alternative solutions that are viable in your specific situation. No risk – no obligation. We’re here to help! School loans, medical bills, mortgage payments, credit card bills, auto loans, past due utility bills, overdue taxes: what do they all have in common? They’re all forms of debt. If you’re dealing with multiple types and sources of debt, you know that they can deplete your bank account and tank your credit score. If the concept of getting out of debt feels like scaling Mt. Kilimanjaro, it’s beyond time to take action. Fortunately, filing for NJ bankruptcy isn’t your only option, even if your debt mountain feels insurmountable. IMPORTANT NOTE: Don’t disregard the list once you’ve made it. Refer back to it often, especially when paying the bills. As your amount of debt fluctuates, and hopefully decreases, make sure to update the list. Watching your total debt amount go down is immensely rewarding and can be the motivation you need to continue making progress. Your next step is to determine how you will manage and pay off your existing debt. There are many different strategies, tactics and approaches that can help you chip away at your total debt amount before you even formulate a repayment plan. For example: if you currently pay monthly or quarterly utility bills, contact your provider(s) and negotiate a more manageable payment plan. If you show that you are being proactive, they will be more inclined to work with you. Another way to make your debt more manageable right off the bat is via loan modification. If you can get the monthly payment reduced on one or more of your largest debts, your jumping off point will be much more advantageous. Additionally, you may want to explore settling a debt through a lump-sum payment. 1. Prioritize the debts that need to be paid off first. Primarily, you want to consider the interest rate. Eliminating debts with a higher interest rate first will reduce your overall amount of debt faster. If the interest rates on all of your debts are all similar, you could choose to pay off the debt with the smallest balance first to give yourself a goal that is achievable. 2. Pay your bills on time each month. By doing this, you’ll not only boost your credit score and keep your account in good standing, but also sidestep the possibility of having to make late payments, which will increase the amount of money you have to pay out. 3. Pay something, even if you can’t make the minimum payment. Sometimes it’s a reality that you may not be able to pay the full bill on time or even the minimum payment. If this is a temporary situation, call your creditor and tell them how much you can pay that month. Paying even the smallest amount is putting forth a good faith effort that many creditors will look upon favorably. This doesn’t actually decrease your amount of debt, but it can sometimes buy you a month without late fees as long as you reach out to the creditor and explain your situation. 4. Create a monthly payment calendar. This will give you a better idea of how and where to allot each paycheck. If your paychecks fall on the same day each month, for example the 1st and 15th, you can keep the same calendar from month to month. If payday varies for you, we suggest making a new calendar every month until your debt is under control – and even beyond. If this all seems like more than you can manage, consider working with a professional. Many people balk at the idea of a debt-relief attorney because they don’t want to be “coerced” into filing for bankruptcy. However, in the same way that physicians don’t treat every patient with a one-size-fits-all remedy, attorneys don’t nurture financial health with a blanket answer. Our goal at Veitengruber Law is not to see how many people we can get to file for NJ bankruptcy! Rather, we take the time to formulate an individualized plan for each and every client, particularly when they’re seeking advice for running a household or business. With this goal in mind, we will strive to restore your financial health to its optimum function. We have significant experience in dealing with creditors to negotiate debt resolutions other than bankruptcy. We will, however, give you our honest opinion if filing for bankruptcy truly is your best option. Call, email or FB message us today – let us know where you are in your debt struggle, and we’ll get started formulating a plan post-haste. New Jersey is a great place to live. We have mountains and beaches and lakes, great sports teams, attraction such as Six Flags and Atlantic City, and we are conveniently close to Manhattan and Philadelphia. That being said, we also have one of the highest costs of living in the nation. That amounts to our residents having more debt than most of the country. Average credit card debt is the second highest in the US, and don’t forget student loan debt, higher property taxes and longer commutes. All of these factors contributed to nearly 27,000 NJ residents filing for bankruptcy between October 2017 and September 2018. Just the word BANKRUPTCY can loom large. It’s without a doubt a very overwhelming concept to contemplate. Ultimately, though, the process can provide help on many fronts such as relief from hounding creditors, stress, and uncertainty. Bankruptcy is a complicated process, and you should avoid trying to navigate it without a consummate professional by your side. Going into your first consultation with a debt management attorney can feel almost as daunting as the bankruptcy process itself. Chapter 7, Chapter 13, Chapter what?! Trustees, claim forms …. before you know it, you’re swimming in jargon. Veitengruber Law wants you to feel at ease from the very beginning. 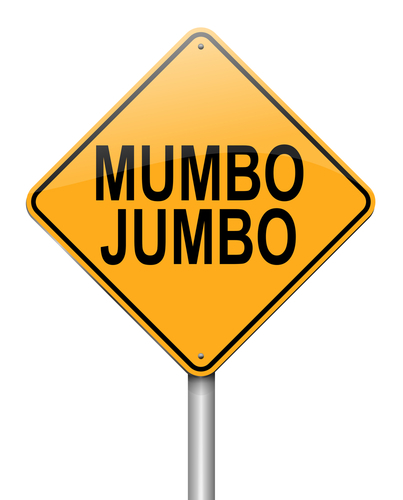 Alleviate some of that apprehension by understanding the bankruptcy balderdash and get to know the lingo. 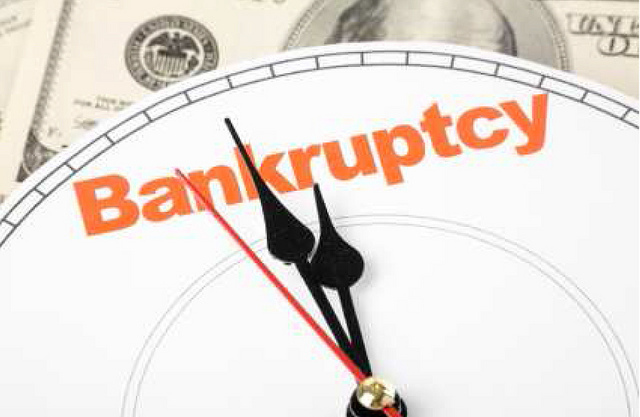 Chapter 7 Bankruptcy – Also known as a straight bankruptcy, it provides protection from creditors to individuals (or companies) who legally file for bankruptcy, providing for sale of certain assets to pay debts. 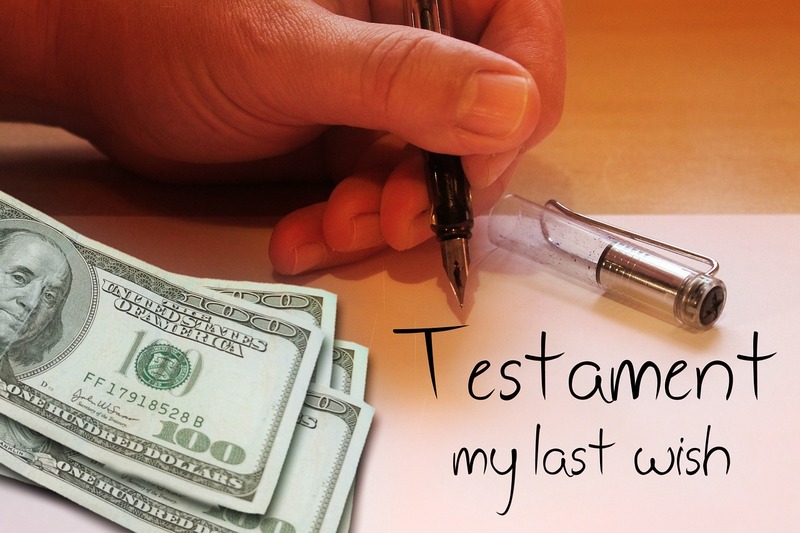 Only certain possessions, up to specific dollar limits, can be kept when you file for Chapter 7. It’s an option for people with limited income. Chapter 7 is basically a liquidation of most of your assets – the proceeds of which are divided up among your creditors. Then, any remaining debt is “forgiven,” and you financially start anew with a clean slate. Keep in mind that you will be debt free at the end of the process, but the bankruptcy will remain on your credit report, making you a high credit risk for the next 10 years. That may be a more desirable outcome than drowning in debt, but you have to consult with legal counsel to have your personal circumstance evaluated. 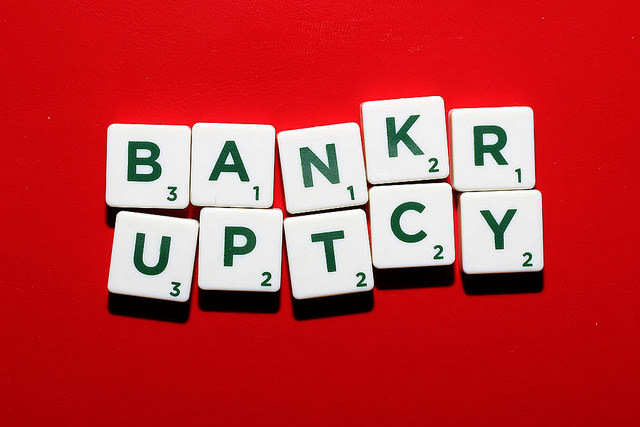 Chapter 11 Bankruptcy – a reorganization bankruptcy, similar to Chapter 13, but used primarily by businesses and corporations. Chapter 13 Bankruptcy – This option allows you to keep key assets such as your primary residence and your vehicle. Under this plan, the court gives you a repayment plan to satisfy your debts. You’ll have between 3 and 5 years to pay off that debt by sticking to the plan. You are expected to keep to the repayment plan and be current with all of your debts through the end of the plan. A Chapter 13 bankruptcy stays on your credit report for 7 years. Examples of New Jersey exemptions: burial plots, household goods up to $1,000, stocks valued up to $1,000, pensions, certain life insurance proceeds, some disability and health benefits. Examples of Federal exemptions: homestead, jewelry up to $1,600, health aids, lost earnings payments, public benefits, alimony and child support. This is by no means an exhaustive list, and each exemption has caveats, so be sure to discuss the best option for you with your legal counsel. Repayment Plan (Chapter 13 only) – a plan which lasts from three to five years, whereby you pay off some debts in full; other types of debts are paid in full or part depending on how much disposable income you have. Putting together a plan that the court will confirm, with the assistance of counsel, is key to your Chapter 13 bankruptcy’s success. Trustee – a person appointed by the court to administer and oversee your case. The trustee reviews your bankruptcy paperwork (and supporting documents) to gauge accuracy in your petition. In a Chapter 7 bankruptcy filing, the trustee’s primary responsibility is to find and sell your nonexempt property to pay back your creditors. In a Chapter 13, the trustee does not sell your assets but reviews your repayment plan to make sure it is both realistic for you and fair to your creditors. After approval by both the trustee and the court, you make one monthly payment to the trustee, and he or she distributes your monthly payments to your creditors pursuant to your plan. Depending on your situation and the type of bankruptcy you file, you may also be required to attend certain hearings, in which your trustee will preside, before your case is completed. These can include: Confirmation Hearing, Meeting of Creditors, Reaffirmation Hearing, Hearing on Creditor’s Motion, and others. Automatic Stay – the simple request for bankruptcy protection automatically halts most lawsuits, repossessions, foreclosures, evictions, garnishments, attachments, utility shut-offs, and debt collection activity, by way of injunction. There are numerous provisions and exceptions to the automatic stay. Credit Counseling – required before a debtor may obtain bankruptcy relief under either Chapter 7 or Chapter 13. It involves education in personal financial management, and an overall assessment of your financial situation to see if bankruptcy is your only option. The process is used to help individual debtors with debt settlement through education, budgeting and the use of a variety of tools with the goal to reduce and ultimately eliminate debt, rather than discharge it through the court. As you can see, there are a lot of choices to be made, and even more questions to answer. Don’t risk a misstep that could affect your entire financial future. Call Veitengruber Law today for your free consultation. Chapter 7 bankruptcy in New Jersey is designed to allow a debtor to liquidate their debts if they are unable to repay their debts. If you are overwhelmed by personal debt and have not filed for Chapter 7 bankruptcy within the past eight years, read on to find out if Chapter 7 bankruptcy might be the first step toward regaining financial health and freedom. Your income must be lower than the median income in New Jersey. This is called the means test. Your debts, excepting those that are non-dischargeable under any conditions (examples include income tax debt, unpaid child support, student loans, and alimony), can all be erased under Chapter 7. 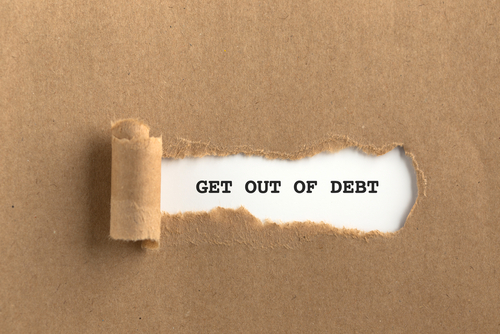 If the majority of your debt is dischargeable, Chapter 7 may be right for you. You must undergo credit counseling. This counseling cannot be obtained more than 180 days prior to filing your petition. Do I need an attorney’s help filing? It is extremely important that your filing paperwork be entirely truthful and accurate. Unfortunately, debtors often make mistakes on their Schedule I form. Schedule I is the form that you’ll fill out listing all of your income, including your spouse’s income and income from any and all other sources. Making a single significant error on this form will result in the immediate dismissal of your case. It should go without saying that falsifying your bankruptcy paperwork intentionally carries penalties up to and including time in prison. Working openly and honestly with a qualified attorney will guarantee that your Schedule I paperwork is correct and truthful. Under no circumstances should you attempt to hide a source of income from your bankruptcy attorney. How will filing Chapter 7 help me? While any of the aforementioned non-dischargeable debts will remain your responsibility, the majority of debts will be erased. You will not owe creditors anything further. What will happen to my major assets? If your spouse owns your home jointly, or if you have kept current on your mortgage payments despite your financial situation, you may qualify to keep your home. Unless you can definitively prove you need your car or truck for your job, your vehicle may be repossessed to contribute to the repayment of your debts. Once you’ve obtained credit counseling, you can file a petition for bankruptcy with the court. A trustee will then be appointed to you. You will be required to surrender all of your nonexempt assets and divide the proceeds amongst your creditors. What are my options if filing Chapter 7 doesn’t provide me enough debt relief? Sometimes even after a Ch. 7 discharge of debts is granted, you may still have a burdensome level of non-dischargeable debt remaining. While bankruptcy law has filing limits intended to prevent debtors from abusing the system and persisting in irresponsible financial habits, you ARE permitted to file for Chapter 13 if you are doing so in order to make your remaining debt manageable. While the result will not be a significant reduction in the amount of money you owe, your attorney will negotiate favorable repayment terms so that you will not be crushed by your debts. Additionally, filing for Chapter 13 after you’ve filed for Chapter 7 will prevent your creditors and lenders from garnishing your wages, foreclosing your home, or repossessing your vehicle. Consult with your NJ bankruptcy attorney if you have been attempting to pay your debts for at least one month after your Chapter 7 has been granted and you are still struggling to make ends meet. Planning a wedding is a time of excitement and joy, but it can also be a time of significant stress. With the average wedding costing upwards of $25,000.00 in 2017, planning and paying for a wedding can be overwhelming for even the most financially stable couple. 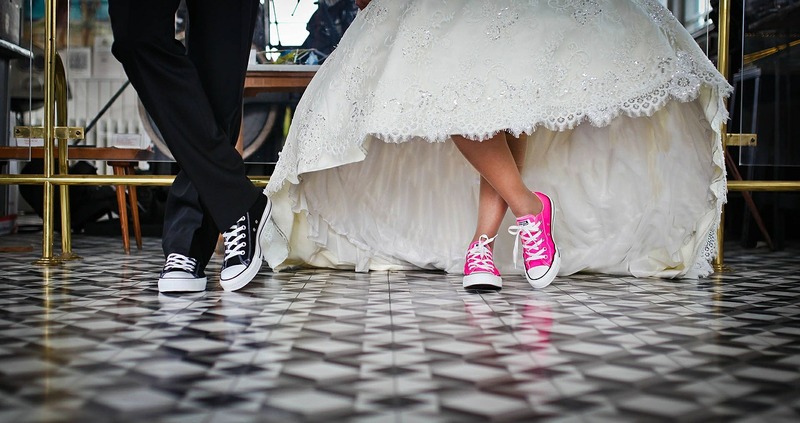 For couples going through bankruptcy, affording a wedding can seem nearly impossible. It is important to understand how bankruptcy will affect your ability to pay for a wedding, but also how it will affect the overall financial health of you and your future spouse. Fortunately, with the right planning you can still have the wedding of your dreams, even after declaring bankruptcy. Financial stress is the leading cause of divorce, so it is important to get a handle on your finances before you decide to tie the knot. In declaring bankruptcy, you’ve taken the first step towards managing your debt to ensure a brighter financial future for you and your spouse. Keep in mind that bankruptcy exemptions are very specific and none of them cover expenses associated with a wedding. Because of this, and the potential stress and uncertainly that comes with bankruptcy proceedings, it is advisable to wait to plan a wedding until after a bankruptcy claim has been fully closed. That way, you can start married life with a clean financial slate. Open communication and honesty about your financial history is very important as you plan your wedding. Whether you have liquidated your assets to eliminate your debt (Chapter 7) or reorganized your payments to creditors (Chapter 13), after declaring bankruptcy you will be able to get a good understanding of your new financial situation. Sit down with your future spouse and create a detailed budget including your income, expenses, and your expected payments to creditors if you have a Chapter 13 bankruptcy repayment plan. Figure out how much you plan on spending on your wedding and create a detailed wedding budget. Keep in mind that post-bankruptcy, it may be harder to obtain a loan to finance wedding purchases. Cut costs where you can so you can focus your financial resources on the aspects of your special day you couldn’t imagine going without. It is also important to understand how a bankruptcy can affect your new spouse after you say I do. Contrary to popular belief, your credit—even if you have declared bankruptcy—will not directly affect the credit of a future spouse. Every person has their own credit score and these scores are not combined after marriage. However, bankruptcy may affect your future spouse in indirect ways. The only time a declaration of bankruptcy will affect a future spouse is when you apply for credit as joint account holders (like applying for a mortgage) OR when adding a spouse to an existing line of credit. It may become more difficult for you and your spouse to acquire joint loans, or you may have to pay higher interest rates on those joint loans. Filing for bankruptcy can be a difficult and complicated process, but it doesn’t have to be. Don’t let bankruptcy get in the way of your happily-ever-after. Contact the qualified legal team at Veitengruber Law help you plan your debt free future. Do you find yourself questioning the truth of the latest snippets of gossip you hear on the news? You’re not the only one, especially since many bits of information we hear travel through a variety of sources before reaching us. There’s no doubt that you hear and read financial updates or facts on the news, radio, newspaper, online, etc. 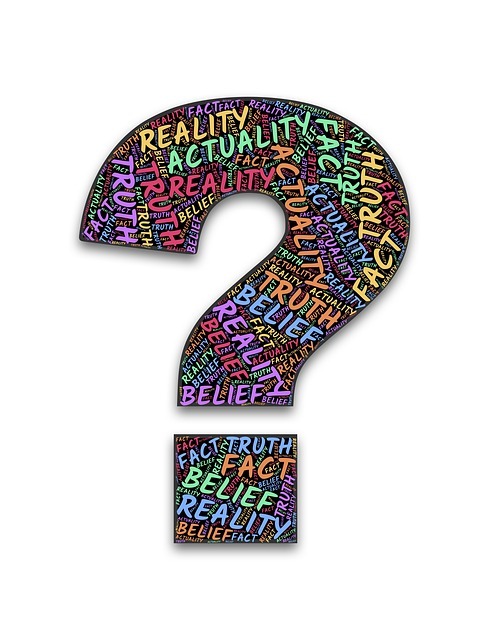 How do you know what to believe? The news media is always informing the public about foreclosure, bankruptcy, real estate matters, and many other points that can be relevant to the average person. The word “bankrupt” is becoming more common in our vocabulary today, but the bottom line is that there are numerous myths about bankruptcy. Whether or not you have faced bankruptcy in your personal life or you know someone that has, debunking these myths could be useful for you; you never know when they might come in handy. Myth #1: Every possession will be taken away from you. Fact: Good news: every state has laws to protect you, though they do vary from state to state. The laws that we’re talking about are called exemptions, which protect your home, family heirlooms, car, and retirement savings. It’s possible to file for Chapter 13 bankruptcy, which involves a repayment plan, in the case that you have more equity in your home than what is protected by the exemptions. Because of these laws, the debtor is entitled to retain most of his property, furniture, a decent amount of jewelry, and some money. You won’t lose all of your possessions if you file for bankruptcy. Myth #2: Filing for bankruptcy will damage your credit for at least 10 years. Fact: This is completely false. It’s important to distinguish that having bankruptcy on your credit report for 10 years doesn’t necessarily mean that it will have a totally negative effect. Not all things reported on your credit report are considered bad. Interestingly enough, our clients’ credit scores usually increase after filing for bankruptcy. Normally, a person will be able to re-establish their credit score within two to four years after filing. If this is not happening for you, you may be working with the wrong debt resolution specialist! Myth #3: You can decide to list only the debt you want to eliminate when filing for bankruptcy. Fact: Actually all debts must be included. It’s not your choice to dismiss a creditor just because you plan on continuing to pay their bill. You are able to make voluntary payments to family or medical service providers if you choose. Once your case has been dismissed, you can continue to pay off your debts. Myth #4: Everyone will know that you filed for bankruptcy. Fact: Yes, bankruptcy is a public record, and anyone could search your history, but the amount of filings each month is so large. Most likely, no one is going to find out that you’ve filed for bankruptcy. Obviously, celebrity bankruptcy filings are big news; we always see them in the media. Let’s think back, though: when is the last time you researched who filed for bankruptcy in your neighborhood? Myth #5: Being married means both you and your spouse will have to file. Fact: If both the husband and wife are in debt, then yes, it would be smart for both of them to file. There is no legal mandate that both spouses have to file. If you don’t have any joint debt, then there is no need for your spouse to file either. On the other hand, if both spouses need to file, they should do it jointly to avoid paying two fees. If you have questions that haven’t been answered herein, please call us so we can help you further understand the NJ bankruptcy process. Will the recently enacted bankruptcy laws make me ineligible for a fresh start? It’s true that Chapter 7 bankruptcy laws have made it more difficult to qualify for a fresh start, but a healthy percentage of applicants do still qualify for this type of bankruptcy. Every situation is unique, however, so the best course of action would be taking advantage of the free Chapter 7 bankruptcy consultations we offer here at Veitengruber Law. This process allows us to present you with the options that will benefit you most over the long term. Which type of bankruptcy filing will be best for me? If a debtor files Chapter 7 bankruptcy, the law requires that the debtor relinquish all property in excess of a set monetary limit in order that it can be liquidated through sales to creditors. However, in most of these cases, real property is exempt. This is to permit the debtor to be somewhat well positioned for a fresh start. Chapter 11 bankruptcy is designed for business and individual debtors who have taken on immense personal debt. Chapter 12 bankruptcy is only available to family-owned fishing businesses and family farmers. Chapter 13 bankruptcy is usually called a “debt adjustment” since a debtor is required to file a concrete plan to repay most or all of their debts within their current income parameters. What are New Jersey’s specific requirements for filing bankruptcy? In order to qualify for Chapter 7 bankruptcy in New Jersey, a debtor must provide a wide array of personal information regarding their financial status. These categories include, but are not limited to: all creditors and any collection agencies, secured claims, unsecured claims, any existing debt schedules, pensions, stocks, real estate holdings, and the value of the debtor’s life insurance policy. Once you have arranged your free consultation, the experienced team at Veitengruber Law will carefully explain the applicable filing requirements. Additionally, your bankruptcy attorney at our firm will go through this list with you to be sure you’re prepared to go forward. Will I be permitted to keep any of my property? When filing for Chapter 7 bankruptcy, a debtor is permitted to retain property that either state or federal law has declared exempt from the claims of creditors. The debtor is given the option to choose which set of exemptions is more advantageous, but often the federal laws are more favorable. Will I be permitted to own anything once I have filed for bankruptcy? Absolutely. It’s a common misconception that anyone who has filed for Chapter 7 bankruptcy is prohibited from owning anything. Bankruptcy is not intended to be punitive. However, it’s important to note that if a debtor does come into an inheritance, receives a personal property settlement, or benefits from a life insurance payout within the first 180 days after filing for bankruptcy, this income or property will almost certainly be flagged as being owed to creditors unless it is specifically exempt. Will I still be protected from discrimination despite my bankruptcy? Federal law (No.11 U.S.C. sec. 525) protects you from discrimination from both governmental units and private employers due to your having filed for bankruptcy or failed to repay dischargeable debt. Yes. Once you have filed your Chapter 7 petition, the court will schedule a formal Meeting of Creditors within 30 – 90 days. The Federal Court Trustee in Newark, Camden, or Trenton will conduct the meeting. Counsel will be present at your side to assist you as you answer questions intended to help the appointed trustee decide if you possess assets that should be distributed to your creditors. Additionally, the trustee will attempt to discern if you have filed your petition for Chapter 7 bankruptcy in good faith. While it’s undeniable that having a bankruptcy on your credit report does damage your rating, it’s also true that over time, the bankruptcy itself can be less detrimental than a years-long history of unpaid debts and judgments against you. In fact, many people find that once they have filed for Chapter 7 bankruptcy, they receive offers for fresh credit cards and are even able to obtain them! Lenders are overall more likely to view you as less risky once you are free from your huge burden of debt. After all, they are guaranteed that you will not be permitted to file for bankruptcy for a minimum of six years. Does bankruptcy erase my debts? While bankruptcy will erase most of your unpaid debts, there are notable exceptions. Additionally, mortgages and any other liens that are not paid via the bankruptcy may be attached to the property. They will not be reattached to you personally until and unless you decide to reaccept the obligation. If the creditor sells the property, the bankruptcy completely absolves you of all obligation to repay the debt. Are there other viable options for getting out from under my debt? Once a debtor has been hounded by creditors and has realized that they have very little hope of paying off their debts, the promise of a fresh start through bankruptcy can seem like the only escape. While bankruptcy is the best course of option for a good portion of overwhelmed debtors, it can also greatly impact their credit rating and their ability to purchase large items such as a home or vehicle. Therefore; it is prudent for debtors to carefully consider less drastic alternatives. This caveat is especially pertinent if the debtor’s financial problems are likely to be merely temporary, in which case creditors may accept smaller payments, or stretch payments out over longer periods of time. It helps the debtor’s credibility if they have demonstrated prompt payment habits in the past, or if they inform their creditors that they are facing potential bankruptcy. Creditors are eager to avoid bankruptcy if they may reasonably expect that the debtor will be capable of and willing to repay their debts over time; once bankruptcy proceedings have begun, they are unlikely to recover anything, or will only be able to garner a fraction of what they are truly owed. Creditors also often like to avoid court proceedings connected to bankruptcy because they are costly and time-consuming. Veitengruber Law works with our clients to present them with every available avenue of debt relief so that they are able to make a fully informed decision. We will work together with you to get you to the other side of debt. To find out what debt relief solution is right for you, schedule your free consultation with us today.